This is the High Performance version of this battery offering a whopping 350 CCA! Do you own the YTX24HL-BS? Please, tell us what you think about it. It helps us provide you with better products. Please note that it may take up to 72 hours for your review to appear. Pros: Perfect fit; Plenty of cranking power. I have not had this battery long enough to really evaluate it in depth, but I would like say how impressed I am with BatteryStuff.com. 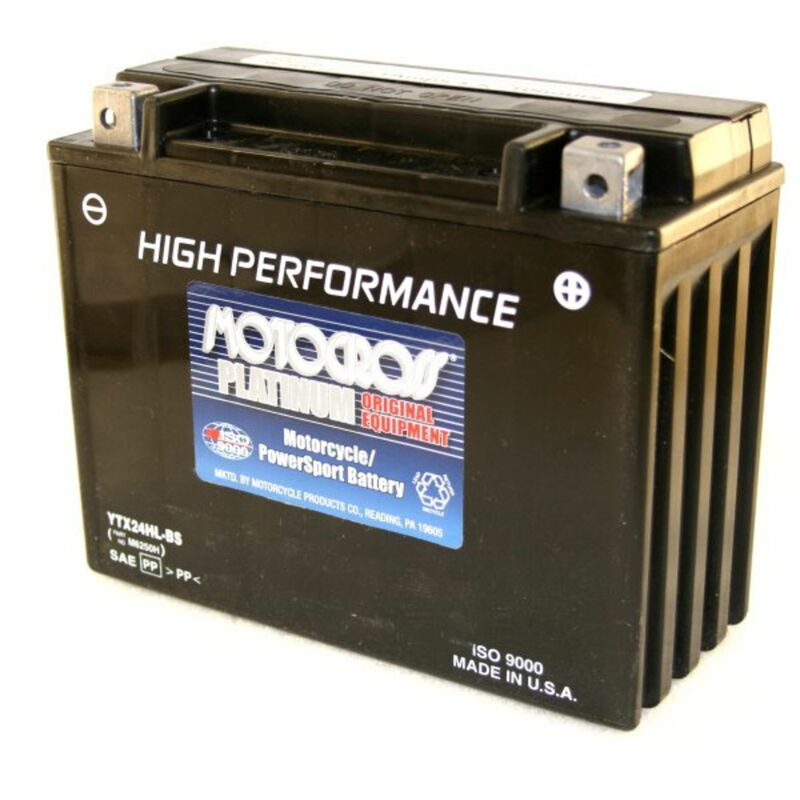 The process for selecting the correct battery was simple and right on the mark; The price was over 30% lower than buying the same battery locally; I ordered the battery on a Friday and received it the following Monday. I will definitely recommend you to my friends. Pros: Great battery at the best price I could find. Cranks over my stroked shovelhead faster than any battery I have used in the past. Cons: The first two battery's came with one of the the battery tabs broken off. this was not the fault of BatterySuff. Both boxes were pretty beat up when arrived, If I was home when they delivered then I would have refused them. Even though it took them three 3 times to get me a good battery. They were kind friendly and sent me a good battery. I know they must have lost money on me, but they did what it took to make things right. A++ on the customer service. I will use them again in the future. Pros: Excellent cost for the product.I was a bit cautious ordering from a company I never heard about, but I did and was very pleased with the rapid shipping and customer service. The dealer for my bike wanted to charge $149.00, but I got it here and saved $47.00 with free shipping. I have been talking about batterystuff.com ever since. See you guys in 2 years...when I need another one. Cons: There were no cons with this order. I had a wonderful experience. Pros: Have this battery, for 3+ years now, in my 1984-GLI1200. Stored bike in Florida, six-months at a time, with battery disconnected. Fly-in, hooked-up, engine cranked, fuel to carbs, engine started without JUMPING. Hard to believe that UPS couldn't damage it!!!! Pros: This is my second battery from your company. The last one was purchased in 2003. Didn't ride much the last two years, but the battery would have done it's job if I had. Thank you for such a great product. 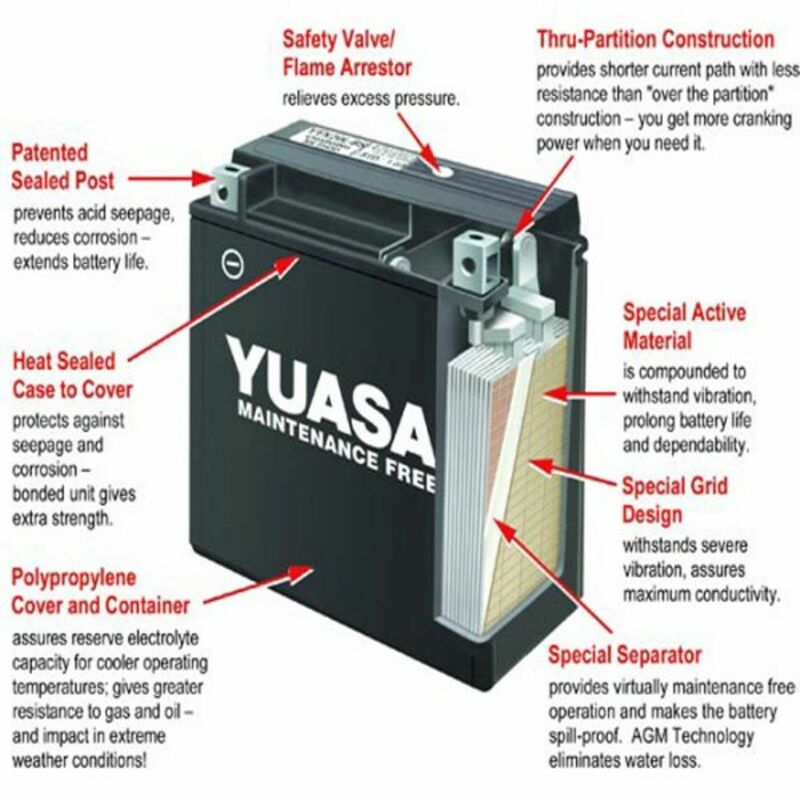 Pros: My battery arived in a timely manner,which is one of the reasons I buy from BatteryStuff.The Yasua battery is a top quality battery and I have had great luck in the past with this brand of battery.Again batteryStuff is a great business to purchase from. Cons: the weather has been nasty so I have not got to try it much. but I am leaving for ten next week . so I will try it out. Pros: This is the 2nd battery I have bought from Battery Stuff. Can't say enough about their great customer service and outstanding products. 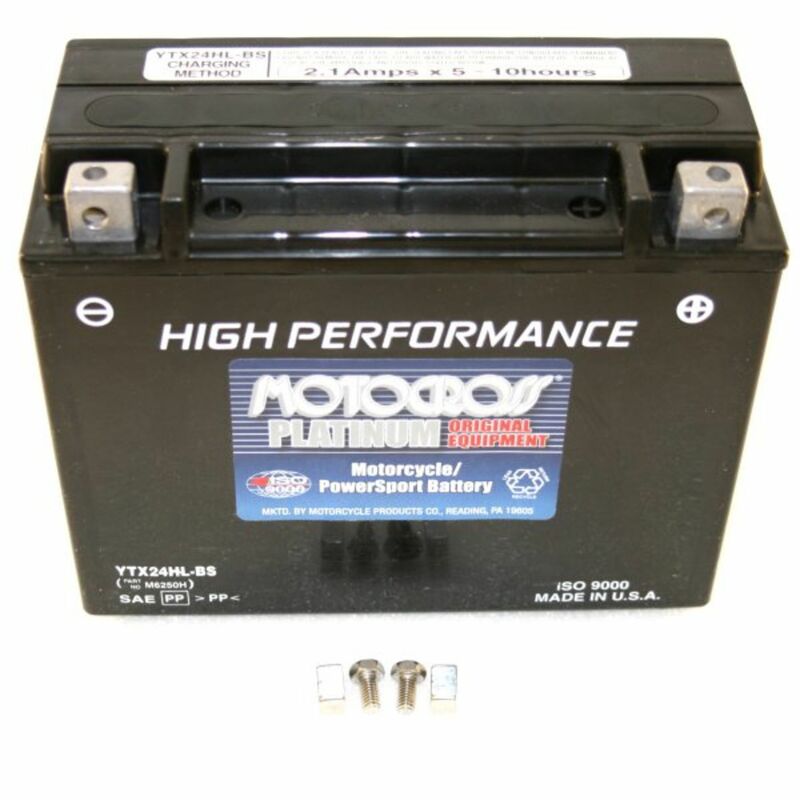 The last AGM battery I bought from them went in my Goldwing and it lasted for 8 years! That is over twice as long as any other battery I have ever put in it. When my last one finally gave up, I put this new one in and it sounds like my starter is on steroids. That thing really spins over fast and fires up instantly. I ordered this on a Monday and got it two days later on Wednesday with free shipping. Outstanding. Pros: Good solid battery. Fit well into the battery area. Fast shipping hoping this one well last 4 years like the last one. Cons: The only trouble I had was putting on the ground wire and that I just had to tweak it a little to fit. Pros: Just got battery & was pleased by the way it was protected in shipping box. Well received. Cons: Review on this battery was right on. A 5 star battery. Installed it & bike fired right up on 1st turn. By far the happiest I've been with a battery. Would recommend to anyone who needs one to get it from Batterystuff.